In Brown v. Entertainment Merchants Association, 564 US 08-1448 (2011), the U.S. Supreme Court held that a California law banning the sale of violent video games to minors violated the First Amendment to the United States Constitution. In 2005, the State of California passed a law that banned the sale of violent video games to anyone under age 18 and required clear labeling beyond the existing Entertainment Software Rating Board (ESRB) system. Prior to the statute taking effect, the Entertainment Merchants Association, which represented the interests of the videogame and software industries, filed a pre-enforcement challenge. The Federal District Court concluded that the video game law violated the First Amendment and permanently enjoined its enforcement. The Ninth Circuit affirmed. 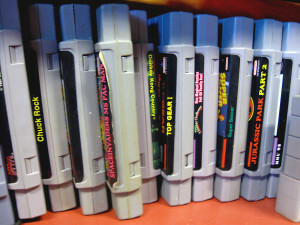 By a vote of 7-2 in Brown v. Entertainment Merchants Association, the Supreme Court ruled that the First Amendment prohibits a state from restricting the sale of violent video games to minors. Justice Antonin Scalia delivered the majority opinion, which was joined by Justices Ruth Bader Ginsburg, Anthony Kennedy, Sonia Sotomayor, and Elena Kagan. Like the protected books, plays, and movies that preceded them, video games communicate ideas—and even social messages—through many familiar literary devices (such as characters, dialogue, plot, and music) and through features distinctive to the medium (such as the player’s interaction with the virtual world). That suffices to confer First Amendment protection. The Court then turned to whether the content-based restriction passed strict scrutiny — whether it is justified by a compelling government interest and is narrowly drawn to serve that interest. The majority concluded that California failed to satisfy its burden. The majority first noted that psychological studies purporting to show a connection between exposure to violent video games and harmful effects on children revealed that the effects were both small and indistinguishable from effects produced by other media. It also highlighted that the statute was under inclusive in that it did not regulate children’s exposure to violence in other mediums, such as Saturday morning cartoons. “Here, California has singled out the purveyors of video games for disfavored treatment—at least when compared to booksellers, cartoonists, and movie producers—and has given no persuasive reason why,” Justice Scalia wrote. The majority also found that California couldn’t show that the law’s restrictions met the alleged substantial need of parents who wanted to restrict their children’s access to violent videos, citing that the videogame industry’s voluntary rating system already accomplished that to a large extent. Justice Samuel Alito wrote a separate concurrence, which was joined by Chief Justice John G. Roberts. While Justice Alito largely supported the majority decision, he raised concerns about the distinction the majority created between violent and sexual content. He also questioned the majority’s conclusion that violent video games did not have a negative impact on children. “There are reasons to suspect that the experience of playing violent video games just might be very different from reading a book, listening to the radio, or watching a movie or a television show,” Justice Alito wrote.